In earlier seasons, Cersei’s appearance could be defined by her flowing, golden Lannister hair. However, before she was publicly shamed by the High Septon her hair was shorn short. With the inconsistent, clashing timelines of Game of Thrones, fans had expected the growth of Cersei’s hair to be indicative of how many months or years are passing us by in Westeros. 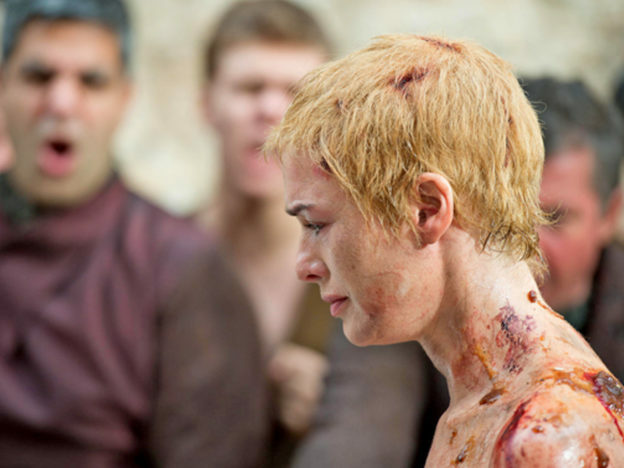 Both Cersei and Tyene Sand had similarly short hair around the time of Cersei’s walk of shame episode, however when we last saw Tyene, meeting her gruesome dungeon fate, her hair was shoulder length. So clearly Cersei is making the choice to keep her hair this length, despite the fact she didn’t choose this striking look, never mind how it must bring back some pretty horrible memories. But why? A Joanna Robinson points out in Vanity Fair, everything about Cersei’s appearance is deliberate. With the short hair came the darker, warrior like clothes, as she is ‘reborn’ after the deaths of her children. Some fans are pointing out how Cersei could be mirroring the look of her late father Tywin, trying to invoke his masculine strength. We know how Cersei was once frustrated by her limited role as a woman, once commenting to King Robert: ‘I should wear the armour and you the gown’. 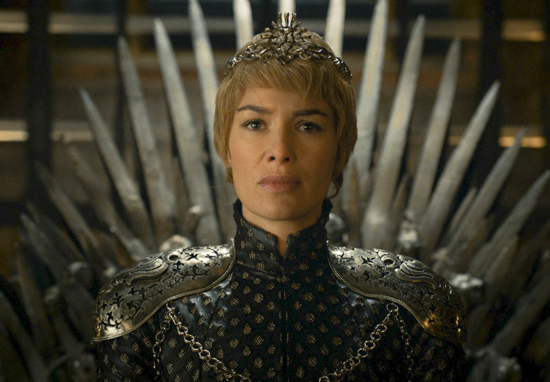 Game of Thrones: Why Is Cersei’s Hair Still So Short?